This month was when I felt like I could just take some time & read. June is always like that for me. School is out, I'm home with the girls. Lots of nap times to read & nights to just relax & do nothing. There is good and bad about that. On one hand, I go through a bunch of books, but on the other hand, that means some of them are not the absolute best. I'm gonna break these down a little. The ones that were good, not great were the Eversea series, The Truth About Us, Trouble From the Start, Some Kind of Normal, All Lined Up & The Design. They were all enjoyable enough, but not as memorable as I'd like. I am really starting to love Cora Carmack, though. Even if they aren't my absolute favorites, I always enjoy her books. 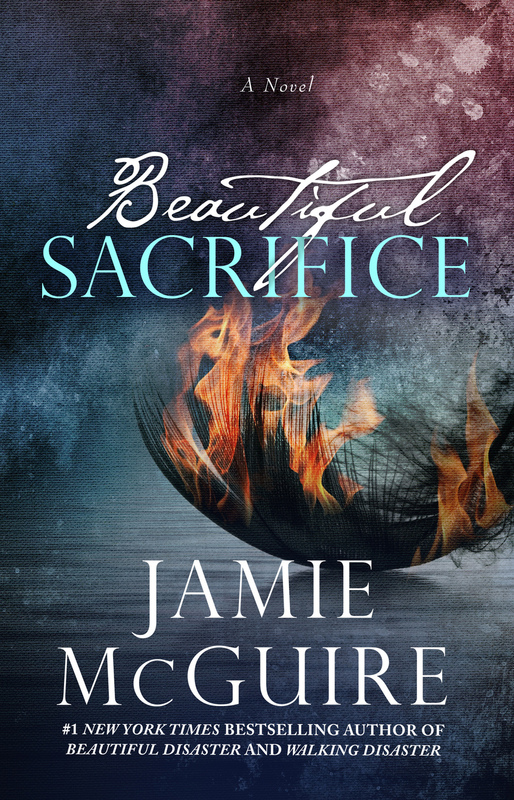 More favorite authors from this month are Jamie McGuire, RS Grey, Kasie West & my new favorite Jennifer Echols! 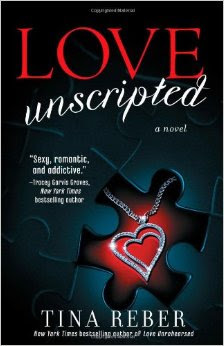 I read my first Jennifer Echols book this month & loved it! I'm currently in the middle of my 2nd one by her & I love it just as much! She is great at character development. My other favorites for the month are the ones that I keep thinking about. They were Bad Romeo & Broken Juliet, Real and The Mason List. 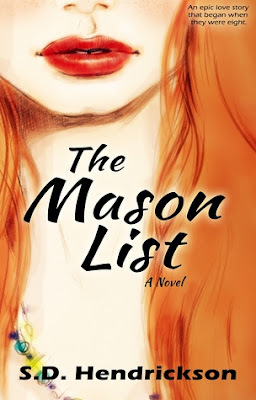 The Mason List really is pretty epic. I laughed, I cried, I texted my friend yelling that it better end the way I want it to because I was freaking out! It was wonderful. 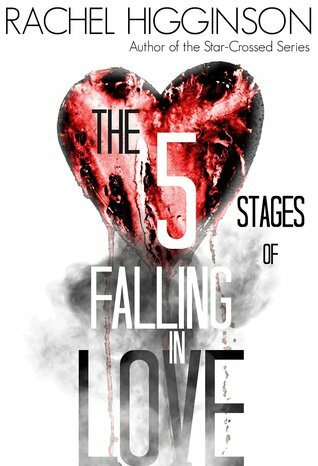 But The 5 Stages of Falling in Love was my favorite. Read my full review here. Overall, a good month of reading. ...if you want a young adult romance with some unique perspectives. I really enjoyed this book. I loved that the characters have different backgrounds than in most books you’ve read. The main characters are the daughter of a pastor and a boy who was in a car accident and suffered a traumatic brain injury. She is tutoring him for the summer and it was just a really interesting take on a relationship developing. There were definitely surprises in the story and I found myself pleasantly surprised with the direction everything took. It was enjoyable, but not one of my favorites. ...if you like MMA fighting love stories. This is about an underground fighter and a girl who is hired to be his sports rehab specialist. This was another one where the backgrounds of the characters was different than what you normally see. I tend to really like books about fighters! I really loved it. It is one of the steamier ones I’ve read, but it had enough character development and good writing that I would give it a yes if you already like New Adult books. ...if you liked Friday Night Lights. 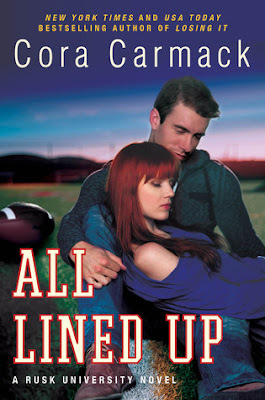 This is about the daughter of a football coach and a guy who is the second-string quarterback trying to earn a scholarship and first-string place on the team. It definitely reminded me of Friday Night Lights with all the Texas football and I mean that in the best way. I enjoyed it a lot and am interested in possibly reading more from the series. ...if you like lists and want some interesting life tips. 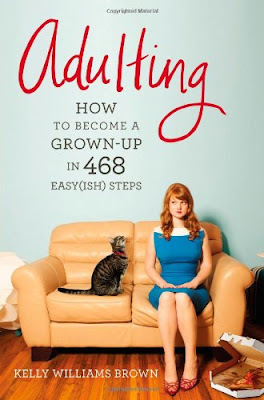 How to become a grown-up in 468 easy(ish) steps. This book was fun. I definitely found a few parts really helpful - like the basic cleaning supplies you need & a few reminders of what is and isn’t important in relationships in various contexts. There were several parts I wasn’t interested in - like dating - and several parts I didn’t necessarily agree with - like appropriate conversation topics (lol). But overall it was a fun read. ...if you have some major reading stamina. A movie star and a bar owner from Seaside, Rhode Island develop a relationship while he is in town filming a movie. They both have trust issues and he obviously has major paparazzi issues. Lots of things threatening to tear them apart as they try to be together. Things I LIked: I definitely enjoyed the story. There was tension, heat, love, lots of character & relationship development. The entire 600+ page book takes place over maybe a 2-3 month period, so there is more character & relationship development than there is in other books. I appreciated the fact that this one didn’t have them breaking up over & over to deal with everything. I’ve read other books with movie stars & “common folk” and they break up and spend tons of time apart. 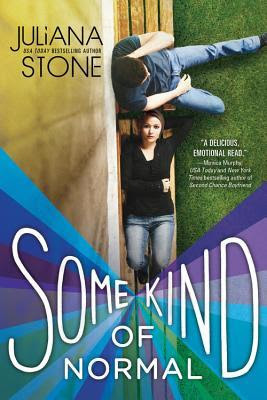 With this one, they actually committed to working through it and I appreciated that they did that - that the way they developed drama was different than other books with similar topics. I loved her friends!! Pete, Gary, Tammy, Marie! They were great!! I really enjoyed that side of it and again - I love the relationships!! Things I Didn’t: First of all, this could have been at least 100 pages shorter and it probably would’ve been better. There came a point where it was just dragging on. Some of the conflict that was created with the other characters was a little overkill. Especially with the one toward the end (trying to avoid spoilers). I can say that people definitely tried to tear them apart and I just didn’t always understand the motivations behind those things. Some of it felt a little forced. Overall: Good, very long, story. From Amazon: When I was eight, my mother was dying of cancer, my father lost his job, and the bank kicked us out of our house. I was forced to move to the strange town of Arlis, Texas where my father and I slept in our car in the hospital parking lot. Desperate and hopeless, we lived on fumes of our former life. Things I Liked: I LOVED seeing the development of their relationship over the course of their lives. It’s not something I need in every single book I read because it did take a lot of time to get through all of it, but it was so great to dive through all that and see how it came to be - how friendship turned to love. I loved the character of Jess Mason. He is so true to her and such a great friend. 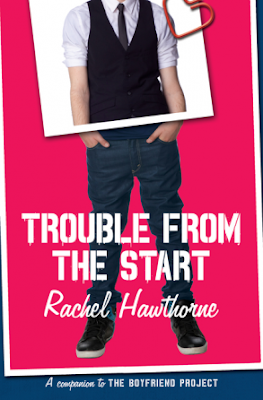 He’s also so fun and he works hard and he just was a fun book boyfriend to read about! From Amazon: Elizabeth Carlson is living in the pits of hell- also known as grief. Her husband of eight years, the father of her four children and the love of her life, died from cancer. Grady's prognosis was grim, even from the start, but Liz never gave up hope he would survive. How could she, when he was everything to her? Things I Liked: I was really nervous to read this and I did have to start it a couple of times until I could get through the first part, but when I finally got past the first couple of chapters, I became a lot more comfortable reading it than I expected. It actually wrote grief and loss so perfectly without making me totally depressed. The relationship between Ben and Liz developed so well. I didn’t feel upset with her about it. I was worried I would. I appreciated the way the author did it. It was just really well done. And Ben!! Oh my goodness he is possibly the perfect male character. He doesn’t push, he is so understanding. he is respectful, responsible, just overall totally perfect for what was going on and what Liz needed. I loved him. I also really loved the relationship between Liz and her sister. The way they did all the family relationships was just really enjoyable for me. I’ve learned over the last year and a half that one of the major things that determines whether or not I like a book is how the relationships are written. This one was done really well. Things I Didn’t: I don’t know that there was anything about the book or the writing itself that I didn’t like. I had a hard time with the beginning only because I internalize a little too much and I have a hard time reading about things that I fear happening in my real life. But like I said above, I was fine after the first couple of chapters. Overall: An excellent insight into grief and new love afterwards. Summer is here & I'm blowing through some books!!! So here's a bunch I've read lately. ...if you like coming of age Young Adult. I loved that this is a different kind of take on the opposites attract idea. The girl is the one getting into trouble and the guy is really good. They meet at a shelter that provides free food & the girl is volunteering (as required by her dad) while the guy is there to get meals. It was definitely a little more unique than a lot of young adult I've read. I definitely enjoyed it. ...if you've read the other Maddox Brothers books. 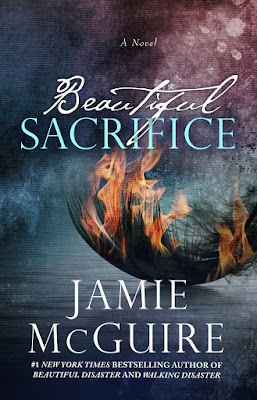 This is the newest Maddox Brothers book by Jamie McGuire. 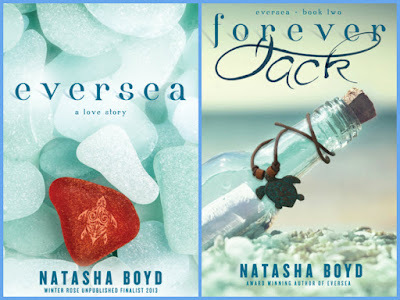 The series started with Beautiful Disaster and so far none of the others even hold a candle to how good that one was, but I still enjoy them all. This one was about Taylor Maddox - one of the twins. There was also plenty of hinting at Tyler Maddox's story, so she better finish it all up with his!! I will say that at this point, I feel super protective of those Maddox boys. 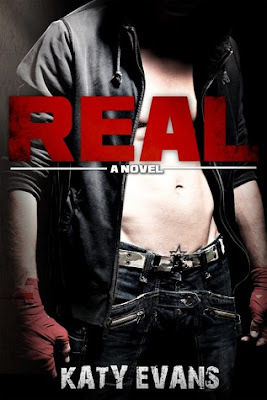 I just love them and in this one, I wasn't quite as all about the female lead as I was in other books because I just wasn't sure she was good enough for him. But it was still super enjoyable. 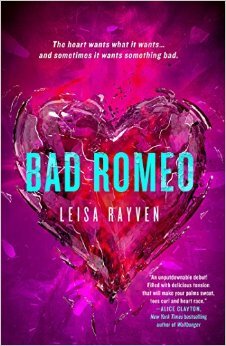 ...if you like good girl/bad guy Young Adult. This was another young adult romance. I enjoyed it, especially the fact that the heroine isn't your typical girl. She's over 6 feet tall & she's very inexperienced in terms of dating. I liked that she was inexperienced, but also not just trying to throw caution to the wind and "explore." She was definitely somebody I respected. I enjoyed this one as well. It was a great, quick summer read. Okay, this book. I have thought and thought about what all I want to say about this, but I've decided that less is more. I will say that this cemented the fact that I will be reading as many Jennifer Echols books as I can get my hands on. I loved her character development. I loved the relationship development. I LOVED the fact that the whole premise of this was so different than anything I had read before. She writes young adult, but there was a deeper side to it that was really interesting for me. I am so interested to read more of hers!! If you like young adult, read this. OH MY GOSH. I finished these SO fast. My friend Jennifer had warned me that there is a cliffhanger in the first one that will just kill you and I didn't heed her advice. I finished it at 12:30am and immediately purchased the 2nd on my Kindle and read for another hour. I liked the as much as, if not more than the first! They're just so so good. Now, they're pretty steamy and definitely have quite a bit of language, but as far as character development, interesting/unique storylines and major tension, these are definitely on top of it. If you like New Adult at all, you will LOVE these. ...if you think you'd like a little more steamy Nicholas Sparks book. 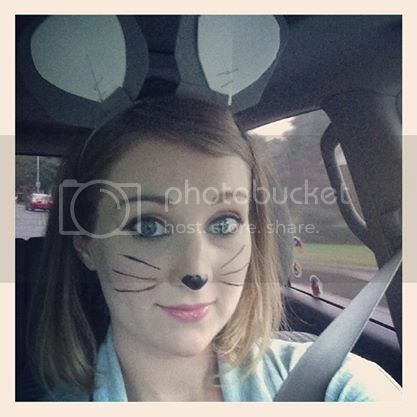 From Amazon (Eversea): An orphaned, small-town, southern girl, held hostage by responsibility and self-doubt. A Hollywood A-list mega-star, on the run from his latest scandal and with everything to lose. 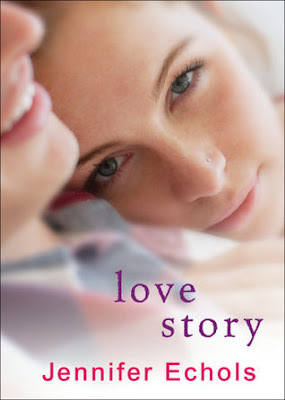 A chance encounter that leads to an unlikely arrangement and epic love affair that will change them both forever. For one, I liked that it really did remind me of a Nicholas Sparks book. It takes place near Hilton Head on the beach. I loved that setting and the small town feel of the whole thing. I am always kind-of intrigued by the big time guys or girls who sweep in for the other person, whether that's a Hollywood star or a billionaire. I did like that this one explored a lot of the reasons why the other person wouldn't want a relationship with that kind of publicity. It was a more realistic take in my opinion. I liked Keri Ann's independence, even if it did at times annoy me to death. I respected that about her. Maybe I'm super naive, but I can't imagine that Hollywood is really like what it was depicted as in this - that people would have contracts that require them to stay in a relationship with someone. Is that just me?? It seemed crazy. I am always super frustrated when someone says they are in love with someone after like 2 weeks. Ridiculous. Somehow I still held on, though to finish both books, so take that for whatever it must mean about them as a whole. Keri Ann's independence, while totally respectable, also bugged the snot out of me toward the end. Just let it go. Overall: I liked the 2nd one better than the first, so take them as a set if you're going to read them. I'm Cameron - a wife of 10 years, mom of 2 girls and 4th grade teacher! I have no idea how I find enough time to read, but I do! Yes: I feel confident that 95% of people would love this! Maybe: I think a lot of people will like this book, but usually with a stipulation that I provide. No: I really didn't like it or I doubt many people would like it.